The Southwestern Area Workforce Development Board announced today that it has joined the New Mexico Purchasing Group, a regional purchasing group that helps local governments post, distribute and manage RFPs, quotes, addendums and awards online. The Southwestern Area Workforce Development Board has become the 28th participating local government agency utilizing the system to streamline their purchasing process. The Southwestern Area Workforce Development Board announced today that it has joined the New Mexico Purchasing Group, a regional purchasing group that helps local governments post, distribute and manage RFPs, quotes, addendums and awards online. BidNet’s New Mexico Purchasing Group (http://www.bidnetdirect.com/new-mexico) provides notification to registered vendors of new relevant solicitations, and any addenda and award information from over 25 participating agencies across New Mexico. The Southwestern Area Workforce Development Board joined the purchasing group in March. In joining, the Southwestern Area Workforce Development Board has become the 28th participating local government agency utilizing the system to streamline their purchasing process. The New Mexico Purchasing Group is a single, online location for managing sourcing information and activities and provides local New Mexico government agencies a method to minimize costs and time delays associated with the procurement process. The Southwestern Area Workforce Development Board was distributing bids and managing their procurement process manually before joining the system. In joining, the Southwestern Area Workforce Development Board looks to save time, increase competition and achieve cost savings over the traditional paper-based bid process. The Southwestern Area Workforce Development Board now has access to an extensive vendor pool, thereby enhancing competition without increasing distribution costs. In addition to the existing vendors on the New Mexico Purchasing Group, all vendors looking to respond to bids with local government agencies can register online at http://www.bidnetdirect.com/new-mexico. The Southwestern Area Workforce Development Board invites all current vendors not already registered on the purchasing group to do so today. Vendor registration is easy and takes only a few minutes online. Registered vendors can access bids, related documents, addendum and award information. In addition, the New Mexico Purchasing Group offers a value-added service to notify vendors of new bids targeted to their industry, all addenda associated with those bids and advance notice of term contract expiration. A robust NIGP code category list allows vendors registering to find the correct codes and receive matched bids. “By using the New Mexico Purchasing Group, our valued vendors can now access not only our open bids, but those from other municipalities, counties and school districts throughout the state. In addition to the time savings we anticipate, our vendors will also benefit from registering in one location for all local bid opportunities. We invite all of our current vendors to register or contact the vendor support team with any questions,” stated Steve Duran, WIOA Administrator of the Southwestern Area Workforce Development Board. Vendors may register on the New Mexico Purchasing Group by visiting http://www.bidnetdirect.com/new-mexico. BidNet’s vendor support team is available to answer any questions regarding the registration process or the bid system at 800-835-4603 option 2. Other local New Mexico government agencies looking to switch from a manual bid process, please contact the New Mexico Purchasing Group for a demonstration of the no-cost sourcing solution. 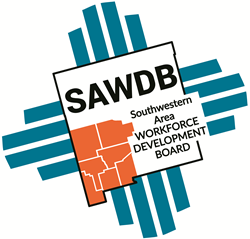 The Southwestern Area Workforce Development Board is the governing and funding body for the delivery of services through the Workforce Innovation and Opportunity Act program in Southwestern New Mexico. This program partners with other government and non-governmental programs to deliver an array of services that are geared toward satisfying the workforce needs of businesses, job seekers, and youth.